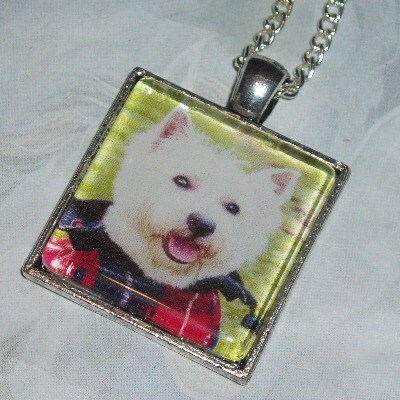 Handmade 25mm square glass photo cabochon in an antique silver plated setting featuring a beautiful white Westie dog. Selection of chain lengths available. NB - Any white spots and dullness are from the camera flash and will not be on the finished pendant.